Kodak’s highly anticipated Orbit360 camera has still not been released in the US. However, it was released in Japan back in May, and predictably, resellers are now selling it on eBay. The retail price of the Orbit is 59,500 JPY ($532 USD), so the eBay prices have a little bit of a premium, which is not unexpected given eBay’s fees. Meanwhile, a sample non-360 video from the Orbit360 has been posted. One of the unique features of the Orbit360 is that it has asymmetric lenses that allow it to function as three types of cameras: an ultrawide 197-degree, an ultrawide 235-degree, or a fully spherical 360 degree camera. 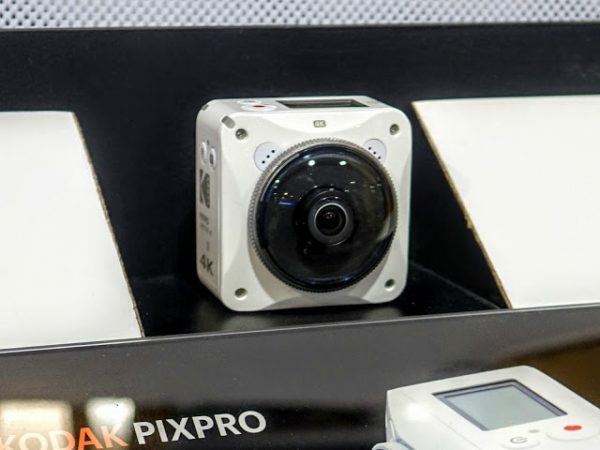 Although other fully spherical 360 cameras can be cropped to achieve a similar effect, their resolution will be significantly lower if cropped to the same field of view as an action camera. The Orbit360’s ultrawide 197-degree lens, however, captures 4K video. It can therefore offer the same 4K video resolution as GoPro or other action cameras for a similar non-360 field of view. In other words, if you get the Orbit360, it is like getting a free 4K GoPro Hero 4 Black in addition to a fully spherical 360 camera. And finally, you will have no more need to answer questions about, “Why does your video look low resolution compared to my GoPro?” lol.